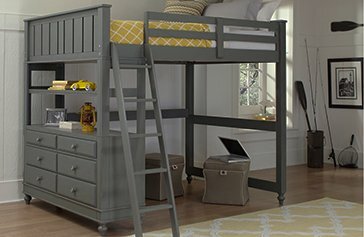 Looking for a bed that's perfect for sharing rooms, maximizing space, or hosting overnight slumber parties? 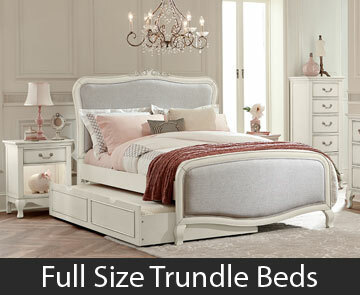 Trundle beds are the ideal option. 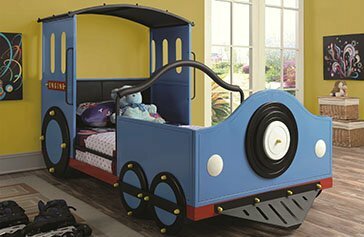 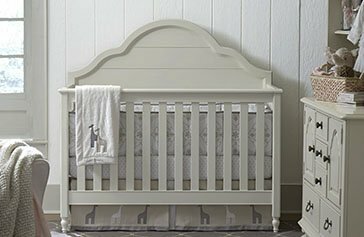 At Kids Furniture Warehouse, we have a wide variety of trundle beds and other children’s furniture for sale. 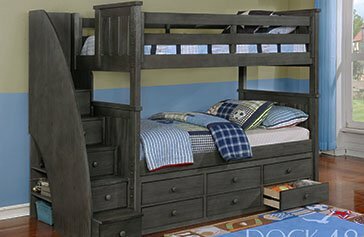 In short, trundle beds are a two-in-one bed, meaning they provide two sleeping spaces in one but only occupy the space of a regular bed. 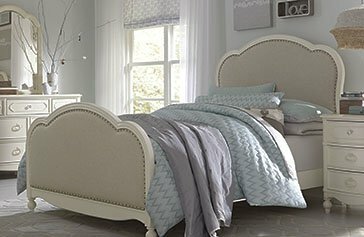 Have we blown your mind yet? 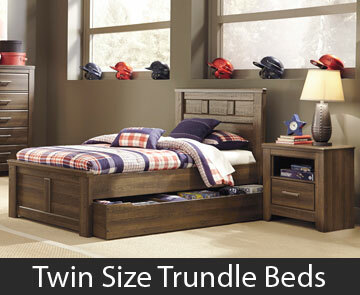 Trundle beds are ideal for saving space and are perfectly suited for multi-child rooms. 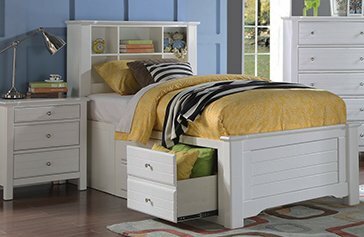 Featuring a wide pullout drawer with a mattress, trundle beds promote efficient use of space and are perfect for a child’s slumber party! 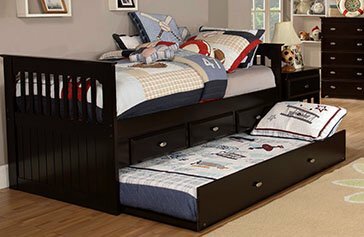 You can pull out the trundle bed when needed for other children or guests, and you can neatly tuck it away after use. 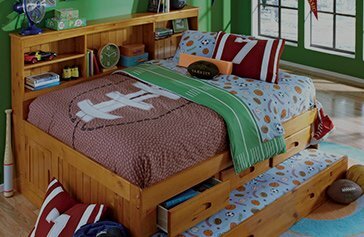 Suiting any décor, they can also be added under daybeds, captain’s beds, and bunk beds. 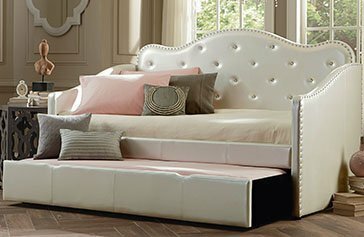 Whether you’re in Orlando, Tampa, or South Florida, we invite you to browse our wide-range collection of trundle beds.